Simon and Jessica graduated with a BA in animation from the Edinburgh College of Art in 2008. Simon's graduation film, Splendid Isolation was an exploration of traditional hand drawn animation and simple story telling. Jess graduated with a 1st class BA (Hons) in Animation and was awarded the Helen A. Rose Bequest Award for distinguished work by a final year student. Nominations for her graduation film, The Owl House include the 4 talent Awards 2008, Scottish BAFTA New Talent award 2008, RTS Awards and the McLaren Award. The Astronomers Sun is their first film. With 20 years as a producer & director in broadcasting & independent production, Peter set up Duchy Parade Films in 1997 to develop and realise imaginative story projects starting with the award winning live-action/animation Wilfred. He devised & directed the Royal Television Society award winning history series The ABC of Christian Heritage. Peter is currently based in New Mexico, USA. David began animating aged 9 with a super-8 camera. Training at Bournemouth's Art Institute and Senior College Ballyfermot, Ireland, he won an internship in Visual Effects at Walt Disney Feature Animation in Paris. As an animator, his feature film credits include Thunderbirds and Disney's The Tigger Movie, with storyboarding credits on Shaun the Sheep series 2. 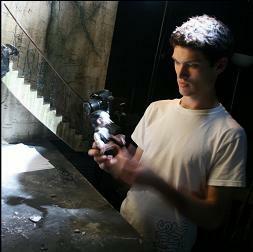 As well as co-producing The Astronomers Sun, he applied his expertise to animating the drawn visual effects in the film. He is also the voice of Henry. Find out more about the films drawn special effects here. Adam originally trained at Yorkshire Television in production, working in children's, on the computer game review show "Bad Influence" , features and news. 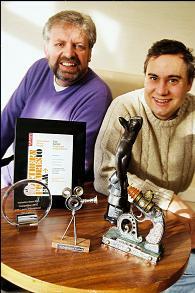 He also worked for BBC schools and has directed pilots for Disney & Yorkshire Forward. Adam was recently awarded a Master of Science degree with Distinction in Digital Special Effects from Bradford University and then started working as an editor with Duchy Parade Films. From day one on the project Adam immediately recognised that although the contract from Channel 4 was for standard definition, Jess and Simon were capturing each frame in film quality. It seemed a real shame to loose the fine detail (Jess and Simon had spent so much time capturing) so after discussion with the producers, the decision was made to post produce in HD. 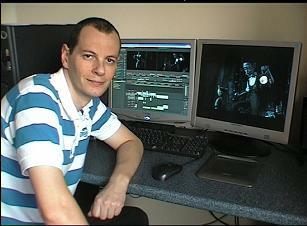 All the editing took place at Adams post production facility in Selby. An interview with Adam can be read here. 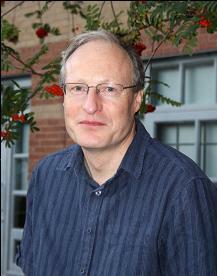 Dave Aston has spent his working life in sound. Starting out in music where the quality of the recorded sound is closely scrutinised and then later with sound to picture where an ability to compliment the image on screen is key. Some twenty three years ago Dave founded The Digital Audio Co to provide a base for his work, opening the studios in Skipton some seven years later. All sorts of projects have passed through the doors, but in the last ten years it has been primarily TV drama and film. Usually Dave has been responsible for dialogue editing and sound effects laying ( sound design is the posh name) and the finished tracks passed on to be mixed in some major theatre. However, on occasions like The Astronomer's Sun, the whole project is completed at the Skipton Studios. Dave is meticulous in his work and particularly in the sound design where he takes the attitude, "if it doesn't convince me, it won't convince anyone else". To this extent the teddy is Mark 3! I hope you enjoy the film and are truly convinced you are there with Henry and Teddy. Peter Wright is a multi-instrumentalist, composer, songwriter, producer, performer and teacher based in Leeds, England. 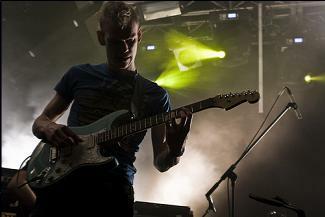 He has toured across the U.K and Europe playing piano, bass and guitar with the band Vessels. The band recorded their debut album in Minneapolis in 2007 with producer John Congleton and will be flying out to Dallas, Texas in May 2010 to record their follow up album with him.The music for the Astronomers Sun was recorded mostly at home or at Vessels own studio, using a variety of contemporary instruments, found sounds, and electronic samples and effects. Steve's animation experience started began at the tender age of 15 he landed a work placement at Aardman Features Ltd. His work experience at Aardman has included working on Wallace and Gromit: A Matter of Loaf and Death and Shaun the Sheep (Series 2). Steve animated some of "The Astronomers Sun" most heart-warming shots during his summer holiday break from the Edinburgh College of Art. David used a combination of model, practical and visual effects to create the breathtaking shots in the film showing the exterior of the observatory and the comets. Incredibly, David created his shots whilst studying full time at the Edinburgh College of Art. His fascination for traditional in-camera model effects were first expressed aged 19, when he made a film in his garage and back garden called "2055: Voyage to Mars. ", using model kits and various odds and ends from hardware stores and pound shops to build the miniature sets, props and equipment. 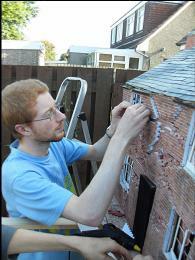 Read more about the making of David's miniature effects here.